Reality by Rach : James Van Der Beek Returns to TV! 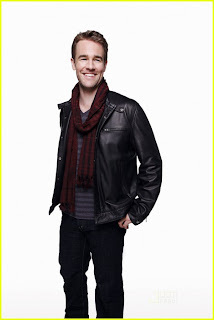 James Van Der Beek Returns to TV! The former Dawson's Creek heartthrob with the wordy vocabulary will be joining Krysten Ritter (She's Out of My League) in Apartment 23. The comedy series will be added to the ABC lineup this Fall where Ritter plays and NYC party girl with lackluster morals and Van Der Beek plays...himself (which kind of seems cool granted that he now does hilarious Funny or Die skits and has apologized to the male population for his role on 'The Creek')? What do you guys think about the new show?? Check out promo pics for the upcoming series after the jump!